Edward Anaya makes all the calls in the pueblo—well, he calls the numbers at the senior center's bimonthly bingo. But college acceptance letters kick-start an identity crisis: Who will Edward be if he leaves home and bingo behind? Like Ferris Bueller if he lived in a pueblo, Edward knows just what to say until romantic rejection, family antics, and community pressures leave him tongue-tied. 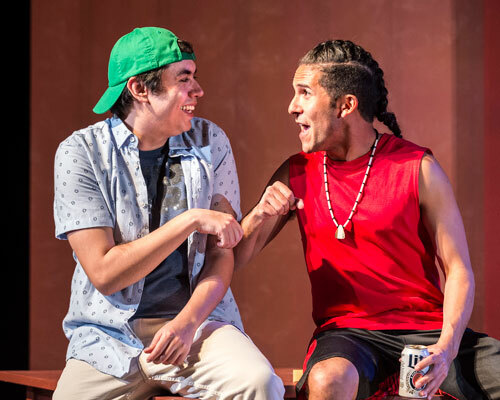 New playwright Dillon Chitto (Mississippi Choctaw, Laguna, Isleta Pueblo) brings the pueblo to the American theatre in this hilarious new play about tradition in a fast-changing world. Photo © Craig Schwartz Photography. 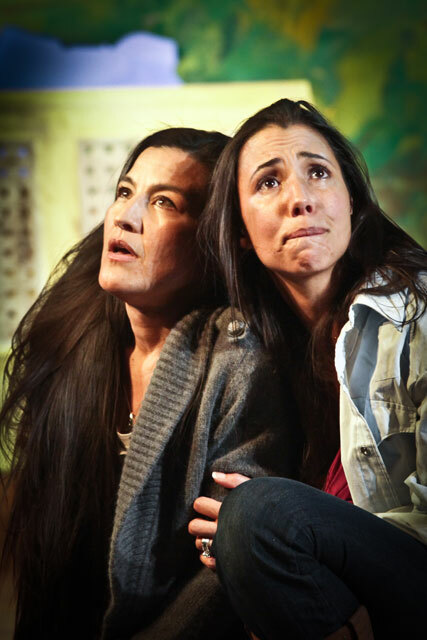 Set during the aftermath of Hurricane Katrina, Fairly Traceable follows the journeys of a young Ponca man and Chitimacha woman as they balance personal and career ambitions with advocacy for the environment and the people they love. In this romantic dramedy, Nagle reveals the culpability of big oil and climate change deniers in environmental disasters. 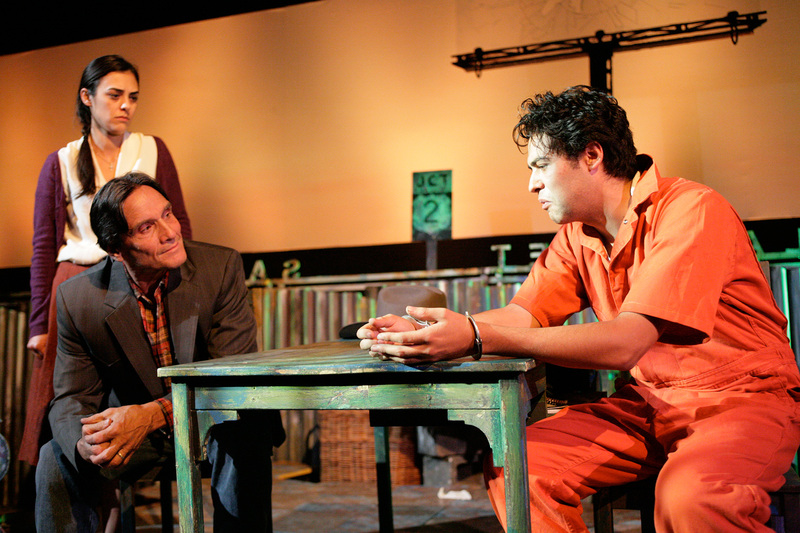 Presented in association with La Jolla Playhouse and Perseverance Theatre. A troubled teen from a broken home receives the culture shock of a lifetime when he is sent to live and work with his Tlingit grandparents in a remote fishing village in Alaska. This funny, heartfelt exploration of the meaning of family and life emerges in a contemporary coming-of-age story. 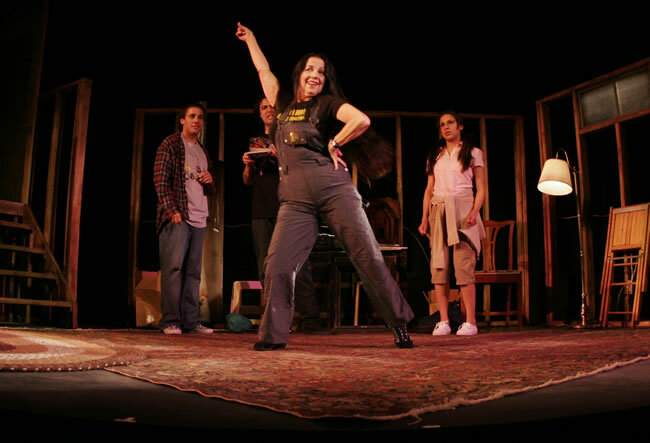 The Union Pacific Railroad, an Indian boarding school, and Madame Overdone's Stewed Prunes Saloon collide in Randy Reinholz's bawdy and irreverent Off the Rails, an adaptation of Shakespeare's Measure for Measure set in Buffalo Bill's Wild West! In upstate New York, on the border of a small town and the local Haudenosaunee reservation, a young National Guardsman of Tuscarora heritage has to choose between upholding the oath he took to defend his country and protecting the traditional lands of his people. An evangelical preacher fights to save his family, church, and community in the face of a continuing economic crisis. Will the promise of natural gas production from fracking provide a lifeline to his small west Texas town and his two sisters? In this tour-de-force performance, Robert Owens-Greygrass embodies twenty-two characters—from a grandfather, to a mixed-blood sun dancer, to a boy who has lost his dog, to an eighty-year-old Ojibway woman, to Iyeska, a trickster and spirit guide who moves through centuries and inhabits various spiritual “skins.” Greygrass portrays the often untold Indigenous experience through powerful and unique stories of Turtle Island (North America). Three generations of Indian women come together for the funeral of a beloved son. 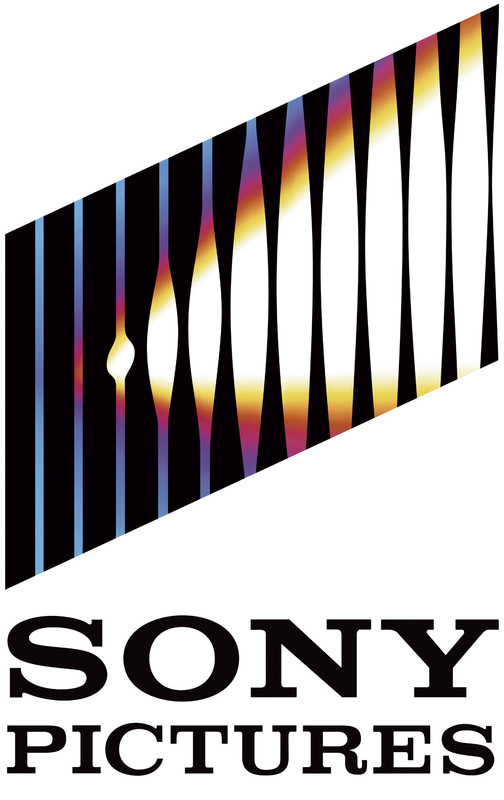 The collision of personalities forces them to confront long-simmering tensions that threaten to tear them apart. This quietly poetic drama has all the haunting qualities of a Chekhovian tragicomedy—Navajo style! Follow Robert, a multiethnic, nonspecific, lower-middle-class, urban-NDN white guy, as he navigates the conflicting worlds of a mixed-race heritage. Acclaimed storyteller Robert Owens-Greygrass portrays sixteen characters in this gritty look at the sometimes humorous, always gripping urban Native journey through the ghostlands. 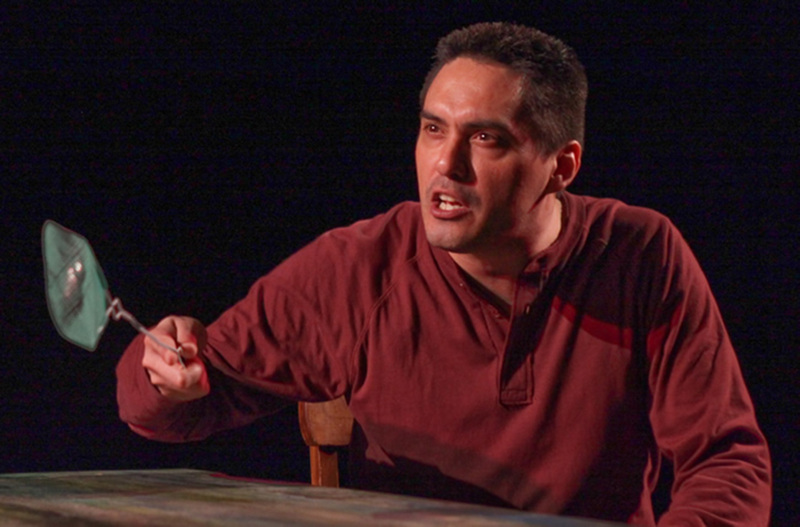 Acclaimed Canadian writer and performer Darrell Dennis tells the semi-autobiographical tale of a young Indian man, Simon Douglas. From living life on the “Rez” to navigating the mean streets of Vancouver’s east side, Dennis weaves a funny and stirring story of identity, discovery, choice, and self-respect. 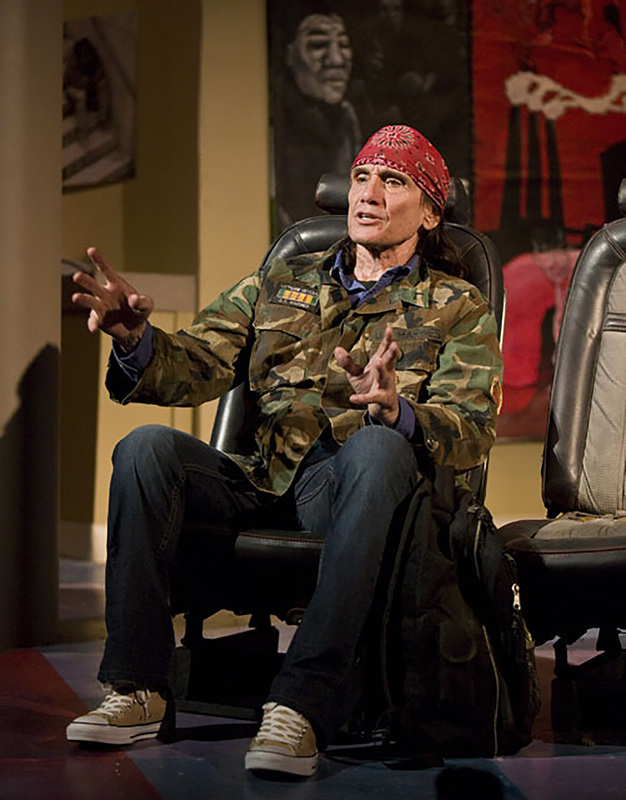 This one-man show made its West Coast premiere here in 2010 following a Canadian tour and two nominations for the Dora Mavor Award, the highest theatrical honor in Canada, and its U.S. premiere at New York's Public Theater in 2009. This taut psychological drama focuses on the relationship between an agoraphobic mother and her precocious son, Carbon "Inky" Black. When young Inky claims to have witnessed a horrific murder, his mother’s refusal to acknowledge his tale and her crippling dependence on sensationalized media coverage of violence in their city serve to isolate them both even further. 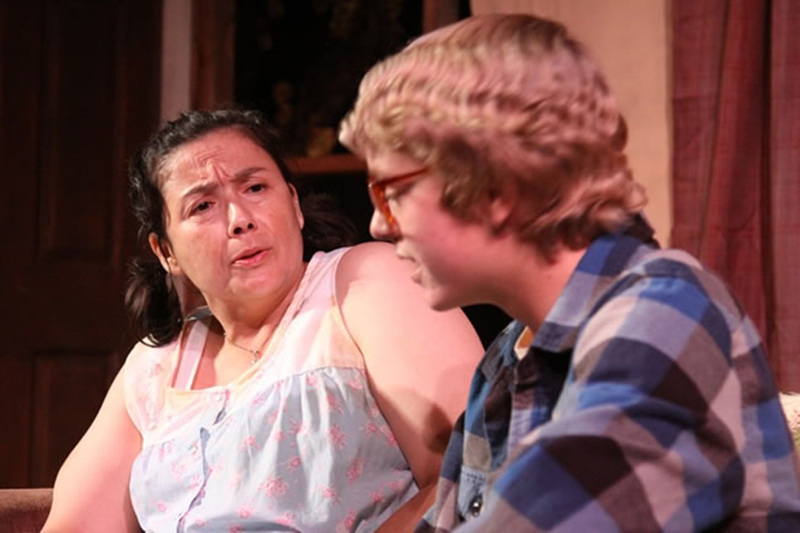 Dejected and often truant from school, Inky Black turns to young, well-meaning guidance counselor Lisa YellowTree, who must fight her own battles with Mr. Tucker, a gruff and seemingly uncaring vice principal. From musician, poet, and playwright Joy Harjo (Mvskoke) comes a deeply compelling personal journey of struggle, displacement, self-discovery, and ultimately healing. 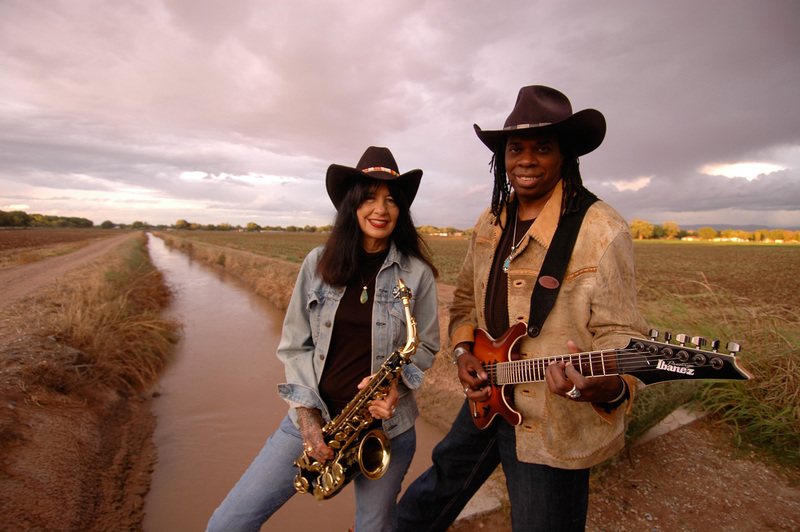 Invoking spoken word, storytelling, and song, Harjo reflects on life stories, the tales and traditions of her people, and takes a few turns blowing a mean jazz saxophone. 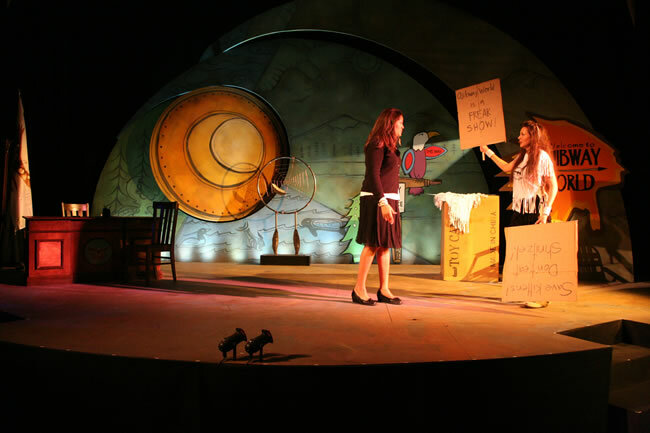 An allegorical work of tremendous power, Wings demonstrates how theater and art can bring life full circle. Cut Bank, Montana. Blackfeet country. Here, a hard-working family scratches out a life running a salvage yard. In this taut, suspenseful drama, a deadly accident throws them into a turbulent world of doubt, recrimination, and vengeance, pushing their lives into horrific new territory. Can traditional ways pull them back to safety? Or will they be torn apart forever? Follow Kenny and Martin’s adventure as they combine their school projects into “Teaching Disco Square Dancing.” The delicate balance of their friendship is tested when they enlist the aid of Kenny’s Grandma and Amanda, a shy outcast whose presentation topic is on cultural history. Can they work together to finish the project and graduate from middle school, or will stereotypes and teen angst undermine their determination? Bring the entire family and hang on for a bumpy spin around the dance floor! 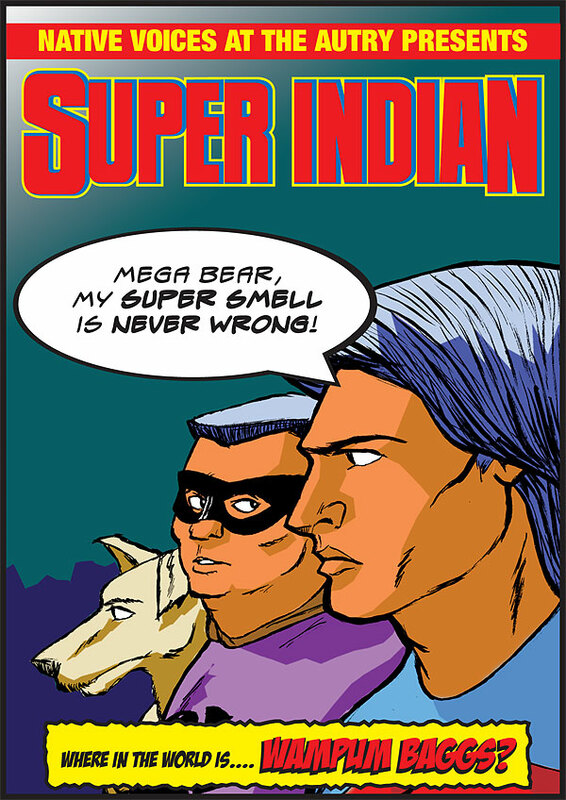 After eating tainted commodity cheese, a young Hubert Logan discovers he has amazing powers that transform him into “Super Indian.” With his trusty sidekick Mega Bear, Super Indian uses these newfound powers to foil evil on the Leaning Oak Reservation. Don’t miss an exciting evening of hilarity and superhero action as Super Indian and Mega Bear rocket to the rescue. Using humor to give us insight into love and losses in the land of the Ojibway, this play focuses on a large German conglomerate that descends on a small Canadian reserve with visions of building the world’s largest Native theme park, “Ojibway World.” This theme park comes complete with bumper canoes, a dream catcher made of laser beams, and Dances With Wolves: The Musical! Join Grand Ole Opry singer Patty Jones as she leads us through a particularly busy day at Verna Yahola’s All Nations Cafe off legendary Route 66 in Sapulpa, Oklahoma. There’s a heap of trouble and a huge storm a-brewin’ as Verna tangles with über-Indian Richard Doolittle, meets British bad boy Danny Dacron, and contemplates a proposal from her good-hearted Navajo fry cook, Emmitt Tsinajinnie. 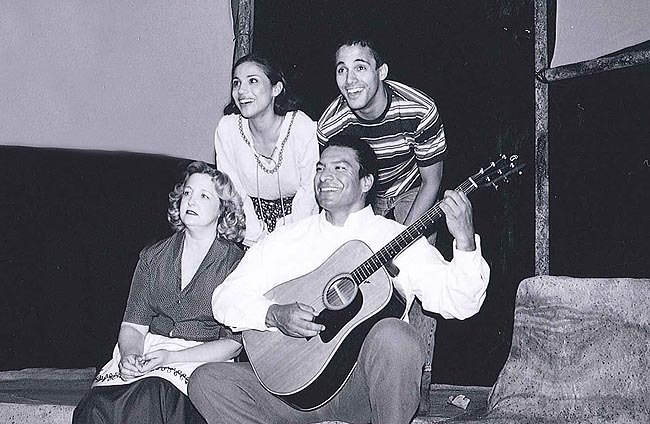 This family-friendly comedy with music features a cast of characters straight out of Indian country—ages 9 to 57—and Miss Starr plays them all! Behind her was a history of betrayal. Before her was an entire continent. 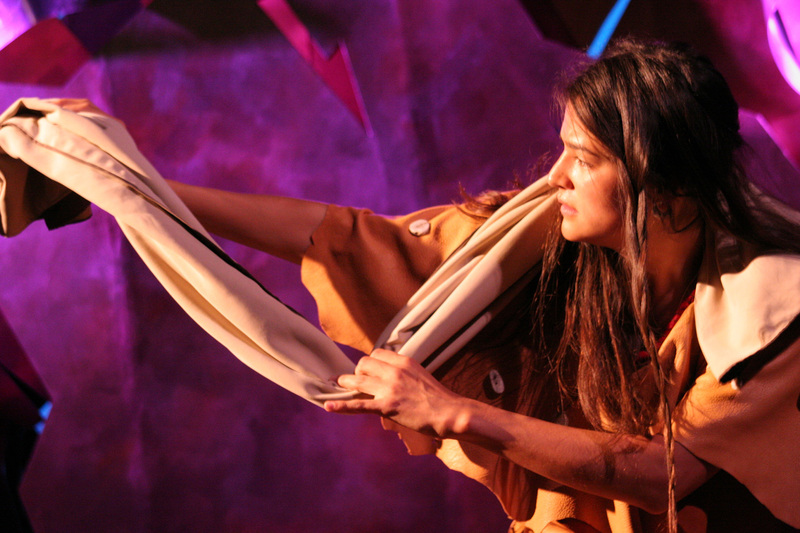 This is the story of Lewis and Clark’s 1804–1806 Corps of Discovery told for the very first time through the eyes of Sacajewea and York, the Shoshoni woman and the African slave who courageously traveled to the sea and back. Supported by a unique soundscape of Native flute, cello, fiddle, and African drums, this talented cast transforms the stage into the Mandan Village, the Great Falls, the Missouri River, and the Rocky Mountains. Experience the torrents and snowstorms, the Northern lights and pouring rain, the devastation of the Bitter Roots, and the magnificence of the Pacific Ocean. 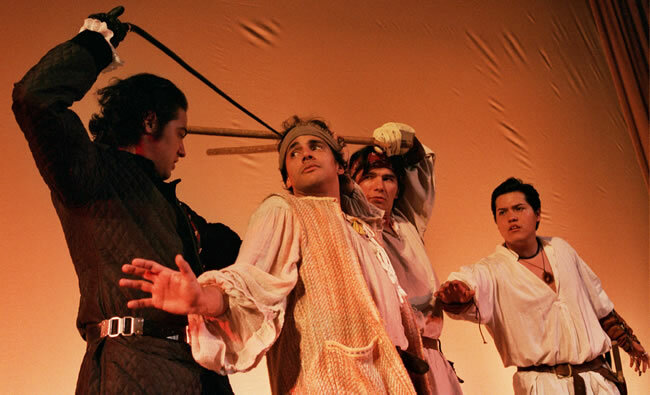 Based on Shakespeare’s Romeo and Juliet, this beautiful, poignant romance provides a glimpse into the hearts and minds of two warring communities in 17th-century Santa Fe—the Taos Pueblo and their Spanish conquerors—and demonstrates the need to create a new world free from the political maneuvering of power-hungry leaders on an unwitting path to their own destruction. 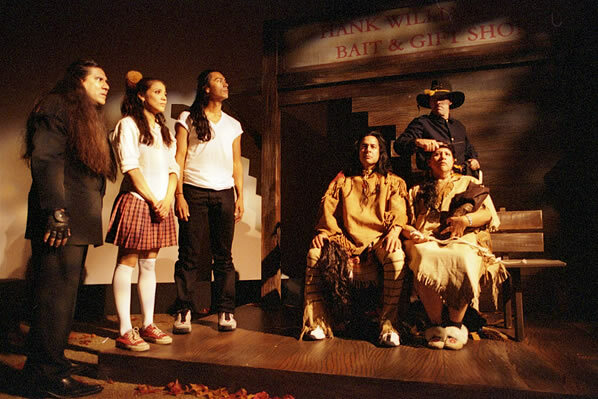 With Sister Coyote, Brother Raven, Mister Wolf, a tourist, and two wooden Indians, Dandurand’s tender, heart-wrenching tale portrays the struggles and dreams of Native Americans through history. His powerful storytelling style uses animal imagery and social stereotypes to create a strong, moving depiction of Native Americans and their ability to love, laugh, and survive despite tragic loss. Combine two traditional tribal enemies in their golden years, a recently divorced Rez sister, a young student exploring her 1/64th Native heritage, and a young man calling himself The Warrior That Never Sleeps. 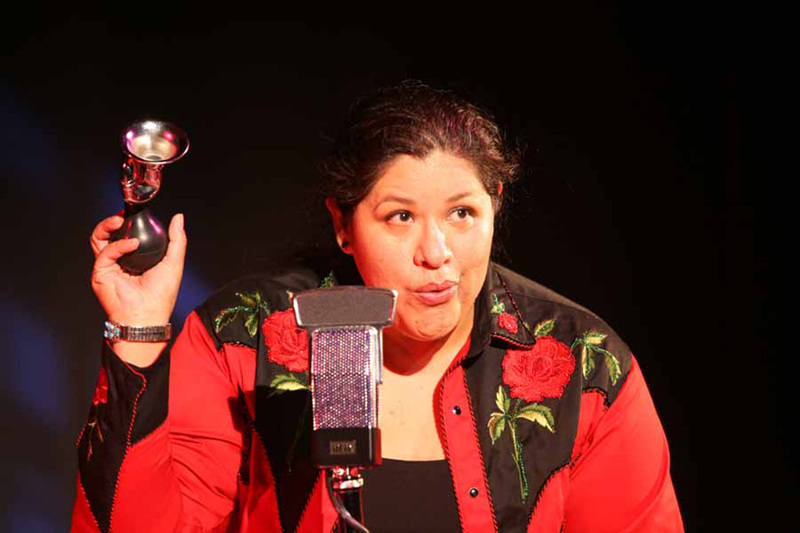 Fold in a professor researching the contemporary mating habits of Native people, toss them all together at a Native elders’ conference, and you have the recipe for The Buz’Gem Blues, a romantic comedy with an irreverent send-up of love and courtship. 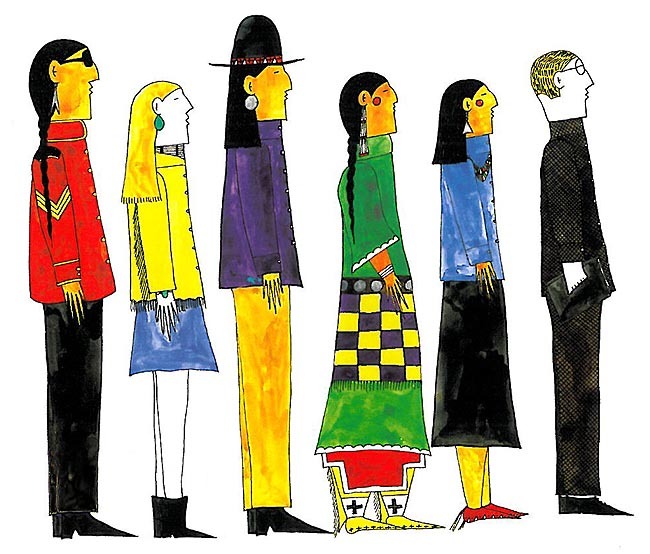 In this compelling story, a mixed-blood Native American woman growing up mid-century in Kansas City moves easily between past and present and Native and non-Native worlds to recover events, experiences, and relationships.